By: Edipolo A. Mosquito, Jr.
One of the mandates of local government units is to ensure affordable and free medical services to its constituents. Thus, a consultation in Alegria Municipal Health Center is the daily routine to all staff headed by Dr. Michelle Gloria S. Mola where patients in all walks of life had been given medical attention. To patients who cannot afford to buy medicines, LGU Alegria provided them without cost but to those who can afford they can access the said medicines in a subsidize price at established Botika sa Barangay. This time, medicines are readily available for indigent patients since the health center is now accredited with Philhealth and through the capitation program of the said agency additional procurement of needed medicines and medical supplies has been augmented. In addition to it, Mayor Dominador G. Esma, Jr. responded to the call of the Department of Health to establish a Birthing Clinic to cater pregnant women in order to control mortality of women giving birth likewise to still birth or death of newly born babies due to lack of medical services during and after the delivery period. It has been experienced that records of mortality cases appeared due to lack of medical preparations before giving birth. It is now discouraged to pregnant women to deliver in homes but to avail of the birthing clinic services. This has been disseminated to all barangays, Dr. Mola said. Package delivery charges will be collected to a pregnant woman ready to deliver in the amount of P1,500.00 with preventive medicines to be given to the mother and the newly born baby against infections and diseases administered before and after the delivery. However, to those who cannot afford to pay the charges they can avail the indigent fund program of MSWD Office but subject to further scrutiny if her family is qualified or if not pay it in affordable terms. Besides, the center advises pregnant women to start pregnancy consultations starting 3 months up to 9 months in order to monitor the health condition of the mother and the baby in the womb to have a normal delivery when the time comes. 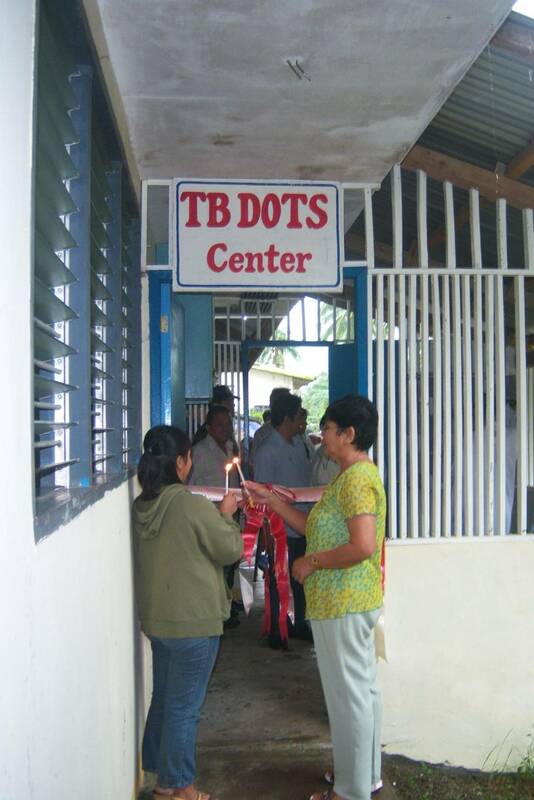 As to the TB-DOTS (Directly Observe Treatment Short Course Chemotherapy) Clinic, persons affected with tuberculosis are treated in this facility for 6 months period with free medical check -up and medicines supplied by the Department of Health Central Office. It is envisioned by this program that TB of all forms in this locality will be curbed. 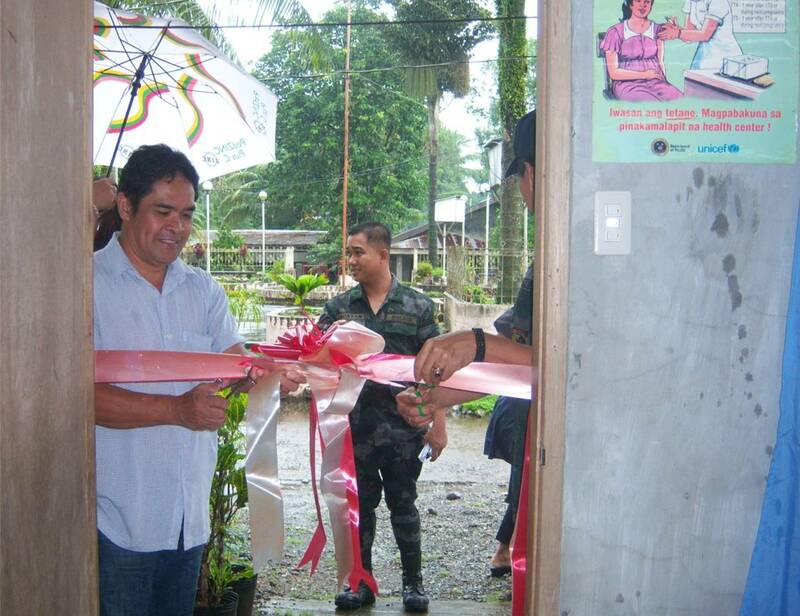 These facilities were established through the partnership and support of an NGO which is the Surigao del Norte People’s Initiative Development Alliance –World Vision Australia and of the 20% Development Fund of LGU Alegria in the amount of P250,000.00 including equipments installed. 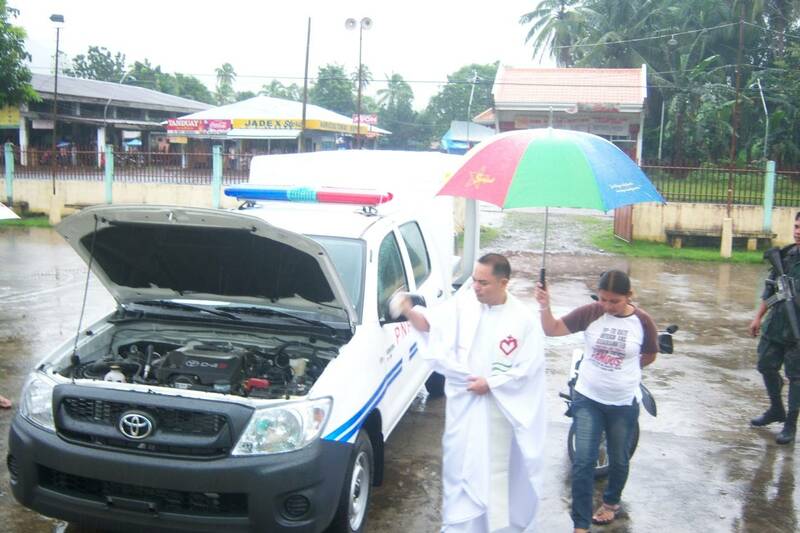 Blessings of these clinics was officiated by a catholic priest in the person of Rev. Fr. Nicolas B. Penados in the presence with local officials headed by Hon. Mayor Dominador G. Esma, Jr. and guests on February 6, 2009 along with the blessing of the newly acquired PNP patrol car issued to Alegria PNP Station from Camp Crame General Headquarters, Manila.